Video: Isaiah Rashad - "Ronnie Drake"
TDE's recently signed Isaiah Rashad has a brand new video for the track "Ronnie Drake," and with his style, he is quickly impressing hip hop fans around the world. 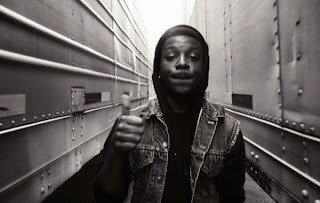 The rapper will be the first one in the crew to drop a new project with a mixtape called Cilvia coming out next month. The black and white video shows Rashad chilling with friends around his broke down car as he raps with ease.Watch below.